Due to Spring Break next week. The lab will be closed Friday 3/13 and Saturday 3/14. and March 18th from 1-4pm. 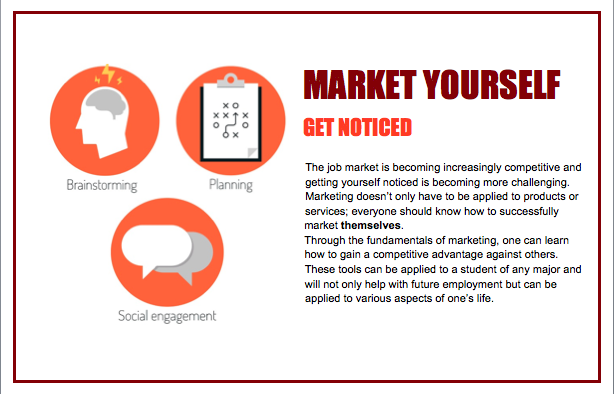 The Innovation Lab will be hosting a Marketing Yourself workshop in collaboration with the American Marketing Association! 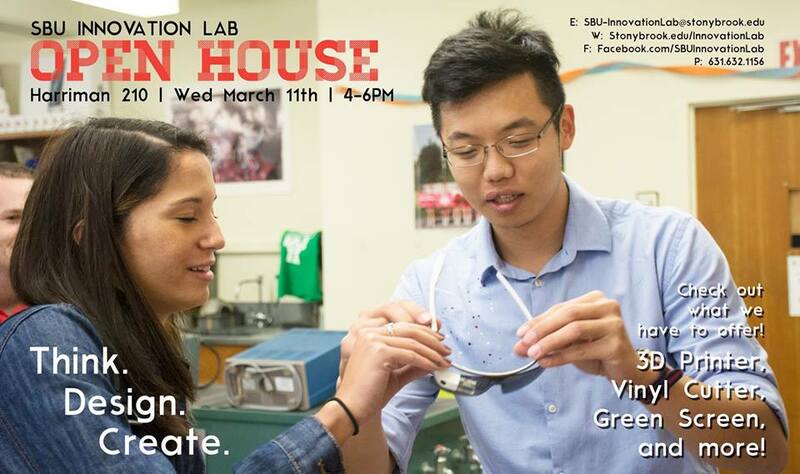 The Innovation Lab is hosting an Open House on Wednesday, March 11th from 4-6 pm in Harriman Hall 210. Come check out what the Lab has to offer, what members have been working on and get inspired to create your own projects!